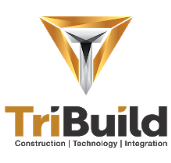 RADAR CONSTRUCTION SOFTWARE HAS JOINED TRIBUILD, INC.
“We see RADAR as a highly-attractive addition to TriBuild’s SaaS solutions designed to improve work flows and productivity for specialty trade contractors,” said Pat Bohle, Co-Founder and Chief Executive Officer of TriBuild. “Natalie Abshier and the rest of the RADAR team bring longstanding relationships and expertise in the technology and construction industries and will be complementary to TriBuild’s existing capabilities,” added Mr. Bohle. RADAR Construction Software provides online, intuitive, collaborative tools to manage multiple construction projects from any location and any device. Getting started with RADAR is easy. We build the easiest to use project management software for the construction industry and have the most simple, affordable pricing to match. Unlimited projects, unlimited data storage and the ability to track RFIs, Submittals, Tasks, Change Orders, Delays, Contracts, Budgets and more - you'll stay organized, get more done and save money with RADAR. Access the RADAR Demo - Fill out the request form and we'll take it from there! 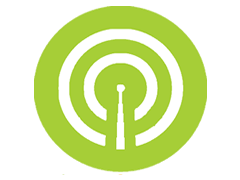 The RADAR demo enables you to explore features and functionality in a demo environment. It's an easy, no obligation way to check out RADAR on your own. No credit card required. Once you've logged in the demo site, we'll follow up to answer any questions and help you get started. Questions? Give us a call at (720) 506-5369.